It is summer and kids are off from school. So my daughter has been doing some fun food projects in kitchen with both the kids. She hasn't gotten chance to upload the pictures yet that I can share , but I will share the ideas she has gathered and already tried some of them. For most of these recipes, she tried to reduce sugar content as much as she could either by picking the sweetest/ripest fruit available and/or by using alternate sweeteners like honey. Best part is that none of these recipes require any cooking, other than little bit of melting of chocolate or butter etc in microwave. These recipes indeed make for great project for summer or any rainy day also ! 1. Two Ingredient Watermelon Popsicle: This was the first project my daughter did with the kids and they had so much fun. It is very forgiving recipe. You can test as you go and adjust the sweetener as needed. All you do it chop the watermelon, add sweetener and make puree in blender. Enlist kid's help to pour this puree in Popsicle mold and wait for it to freeze well. 2. Vegan Pineapple Whip or Slurpee or Popsicle: This is another very forgiving recipe. 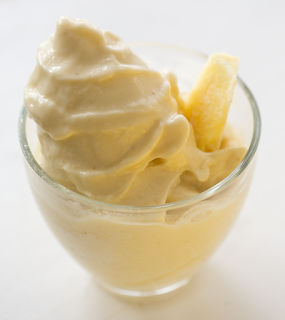 Just mix frozen banana, frozen pineapple and coconut milk in blender and give it a good churn. Eat it right away, or freeze it little bit. Or you can also make Popsicle out of it. If pineapple is fresh or without sweet syrup, you may need to add little bit sweetener but depending on quantity of banana, you may not need much sweetener. You can try this recipe from LunchBoxBunch. 3. Homemade KitKat: This was another project kids enjoyed a lot. All you need is chocolate bark or chocolate chips and wafer biscuits. Just melt the chocolate in microwave and let kids spread it on top of wafer biscuit with spoon. Got to be little careful to make sure they don't burn themselves with hot chocolate. There were hardly any homemade KitKat left for my daughter to take any pictures !! 4. 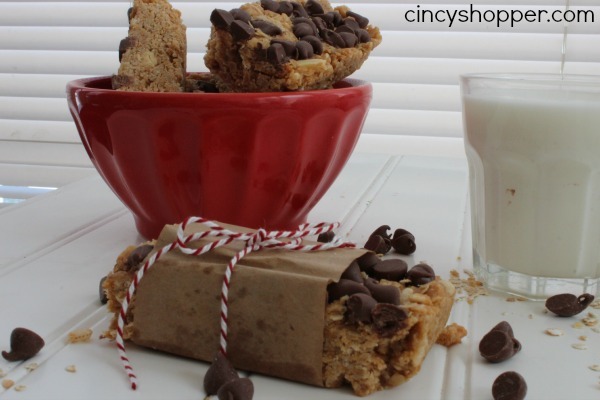 No Bake Cereal Bar: This project is next on our list to try out. Again very simple project. All you do is mix oats, peanuts and Rice Krispies. Melt Peanut butter and sweeter in microwave and mix it bit oats/peanuts/cereal mix. Spread it well and let it freeze for 30 minutes before enjoying. 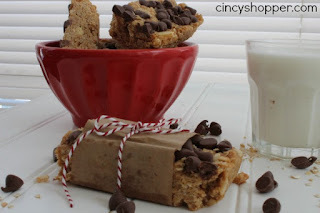 We plan to try CincyShoppers recipe. 5. 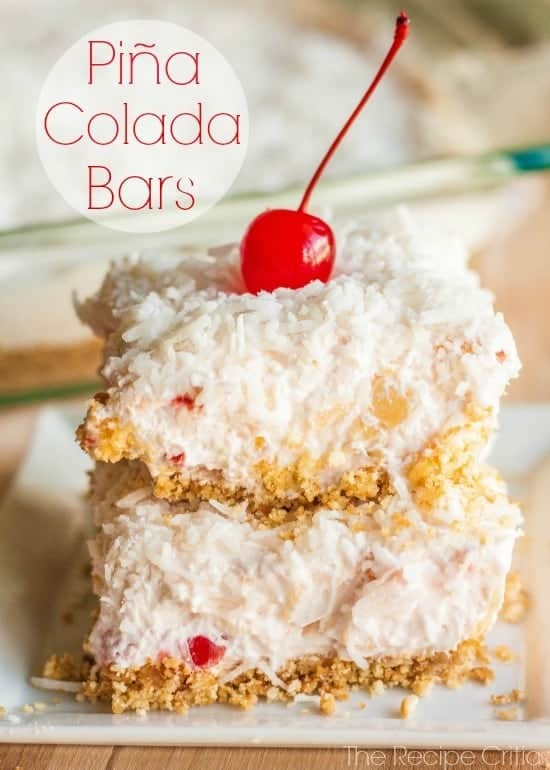 Pina Colada Bars: These are no-bake bars from recipecritic. All you do is enlist help of kids to crush vanilla wafers. Mix them with butter and press the mixture at the bottom of the tray. Mix rest of the ingredients and fold them in the base. Freeze the bars for couple of hours and they are ready to eat. They are such a treat especially during a hot day. 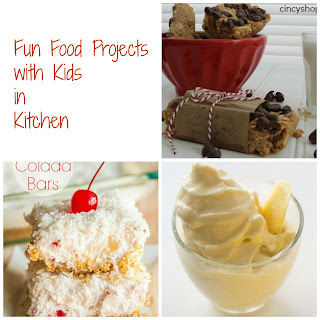 Hope you enjoy with no-cook food projects with kids. My daughter has this multi-cultural cookbook in her wish list. 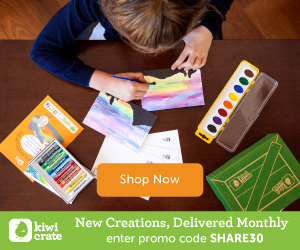 A great way to have fun with kids in kitchen while teaching them all the children/cultures around the world. See if you like it too. Do keep in touch on Facebook, Twitter , Pintrest or Google+.